It has been a quarter of a century since an innocent BBC horror spoof shook UK viewers like no other TV programme before it. A Saturday night Halloween treat, the show centred around a fictionalised live investigation of a haunted house, with some genuinely chilling parallels to the infamous Enfield Haunting. The plot revolved around investigators entering the home of the troubled Early family. The story became darker as the investigators lost control under the ghost’s growing power. However, nobody could have predicted the real life horror the show would bring. A Radio Times feature explained how the show was a drama – from the imagination of horror writer Stephen Volk – rather than a documentary. However, not everybody read this piece before watching. Remember, this was in the days before the mockumentary format went mainstream. There was no The Office, no Parks and Recreation to draw reference from. Furthermore, there was no instantly available internet available to check up on what was really going on. 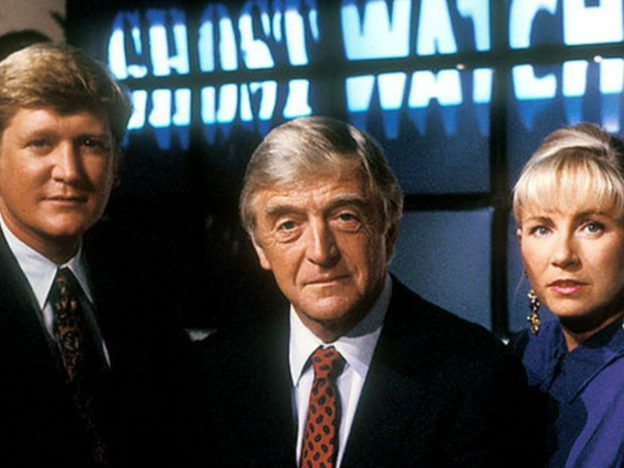 Some people genuinely believed they were watching a ghost investigation gone horrifyingly wrong, culminating in the possession of national treasure Michael Parkinson. Stephen had originally envisioned a creepy six-part drama, however he had been asked by Producer Ruth Baumgarten to trim this down to a 90 minute ghost story. I remember that moment very clearly, when she was really excited by that. Plenty of work went into making the investigation seem lifelike. 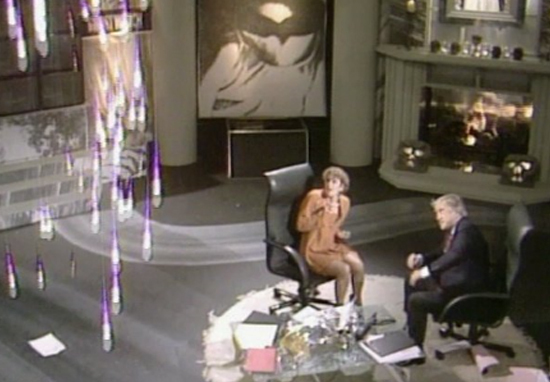 The use of an infra-red, heat-seeking camera, pixellation effects and videotape gave the tense drama a reality show look. Cheerful children’s TV presenter Sarah Greene led the team at the haunted house, while household name Michael Parkinson fielded calls and interviewed guests back in the studio. Popular Craig Charles also made an appearance. With such well known names playing themselves, the show had a sort of realism which wouldn’t have been there if actors had been playing at being presenters. 11 million viewers tuned in, but excitement quickly turned to concern when it became apparent the boundaries had been pushed way too far. I kind of laughed lightly and she said very seriously, ‘no, they really are jammed with people very irate’. That was a bit of a ‘gulp’ moment. The BBC received thousands of complaints, with many losing trust in the channel completely. According to Stephen, a vicar even called in to complain about how the BBC had raised demonic forces. Five days after the controversial show aired, tragedy struck. Martin Denham, an 18-year-old with learning difficulties, died from suicide after watching the programme. 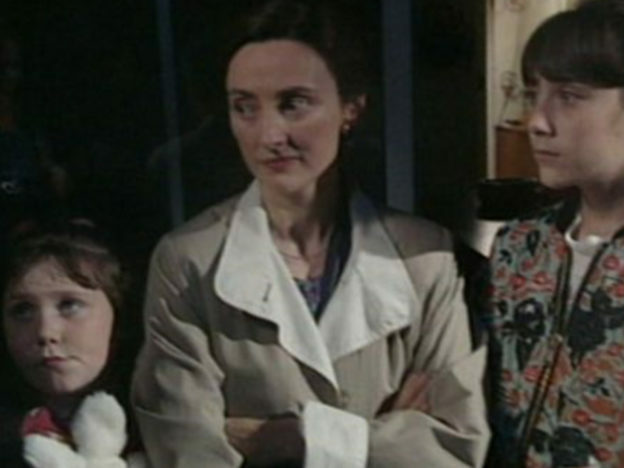 The Denham family claimed Martin had become ‘hypnotised and obsessed’ after the show, and even came to believe his own home was haunted. 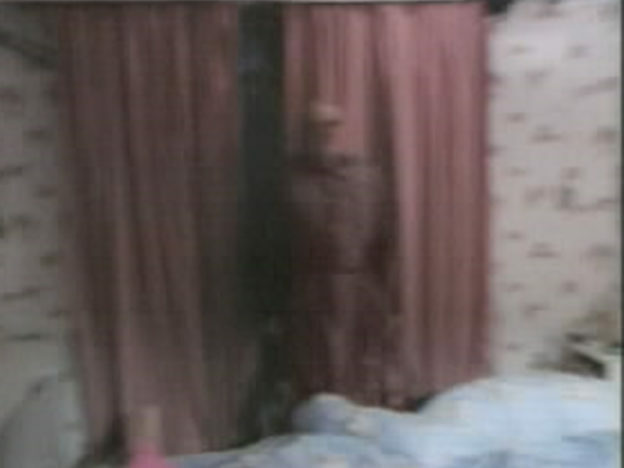 After watching Ghostwatch, Martin kept his bedroom light on – an unusual occurrence for him – and became distressed by noises coming from central heating pipes. Viewers may recall how the Early family originally blamed the noises on central heating pipes, eventually coming to refer to the ghostly entity as ‘Pipes’. After Martin’s death, a note was found in his pocket which read, ‘If there is ghosts I will now be one and I will always be with you as one’. His parents placed the blame on Ghostwatch, lodging a complaint with the Broadcasting Standards Commission (BSC). [The BBC] had a duty to do more than simply hint at the deception it was practising on the audience. In Ghostwatch there was a deliberate attempt to cultivate a sense of menace. Sadly, Martin wasn’t the only person to be affected by the eerie programme. Other young people were deeply impacted, with several cases of PTSD being reported by the British Medical Journal on account of Ghostwatch. The BBC made an apology and never aired the episode again. However, it can still be aired on horror streaming service Shudder.